Hey y’all! I have another recipe for you today! Today I want to share with you an amazing Chocolate Fruit & Snack Dip. Luke and I have been trying to eat more fruit as our dessert instead of something sugary and fattening. But sometimes, when you have a gathering or party, you have to have an extra little something. 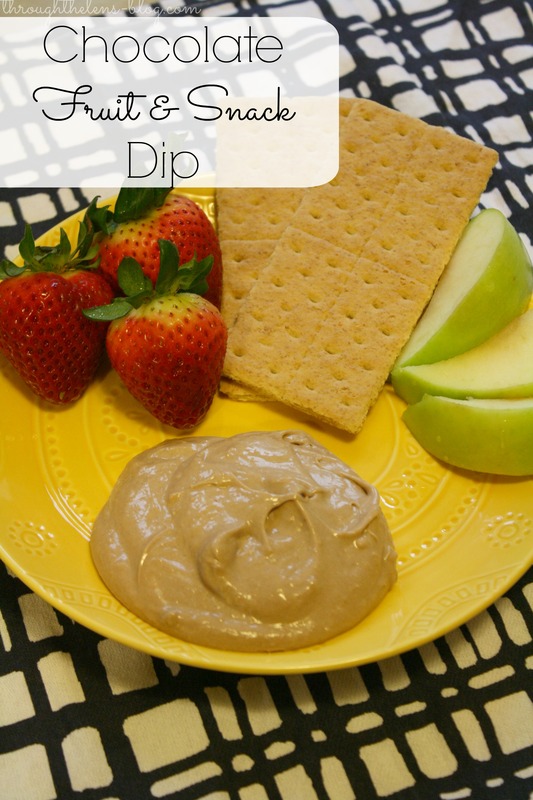 And this Chocolate Fruit & Snack Dip is perfect! Head over to Domestically Speaking to get the recipe! Yum, I love fruit dip! And anything with cream cheese in it is bound to be delicious! 🙂 Thanks for sharing! I wonder how well this would hold up in my kids’ lunches? I will try it! Thanks! Love the idea of adding in fruit. I also wonder if it would keep in kids’ lunches. Great idea! Yum! Sometimes a rich dip and juicy, ripe fruit tastes as decadent as any dessert. This looks great! Great idea! I absolutely love fruit especially now that it is getting warmer out! That is the one thing I am ready for this summer, fresh and delicious fruit! It is a great alternative to a sugary dessert as well! Thanks for sharing!!! that looks sooo yummy!! I’m trying to add more fruit as a treat as well this would be delish! This looks really good and healthy! This would be a perfect snack to take to work. Yes, it would! I hope you enjoy it!